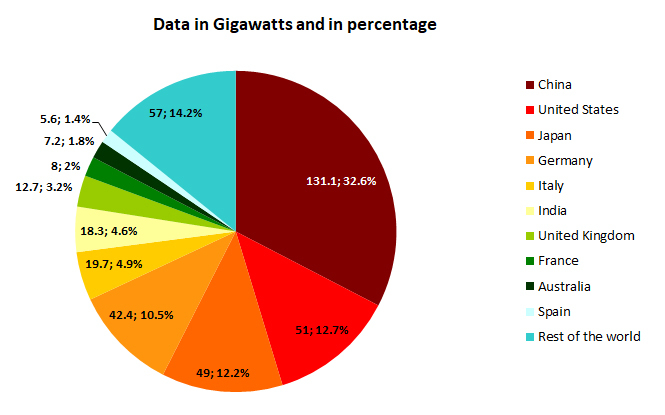 As it can be observed in the graph, 85.8% of the installed solar power in the world is located in only ten countries. The largest amount of installed power in 2016 was in China (131.1 GW), in the United States (51 GW), in Japan (49 GW), in Germany (42.4 GW), and in Italy (19.7 GW). Italy ranks 5th in the world.